This is the story of a Black Isle man who became an enterprising engineer but unexpectedly became the Governor of the Black Isle Combination Poorhouse. It is also the sad story of his wife, Sarah Relph or Wilson, who suffered the early deaths of two husbands. The stone in Kirmichael commemorating the family collapsed about 2010, and in 2018 the Trust sought donations to help having it professionally re-erected. This was the first time an appeal like this had been made, but with no family to contact, and with a stone that had been sinking into the turf for 10 years, we thought it was a great solution. We decided we could all work together to put things back together again! How did we get on? Read on and find out! 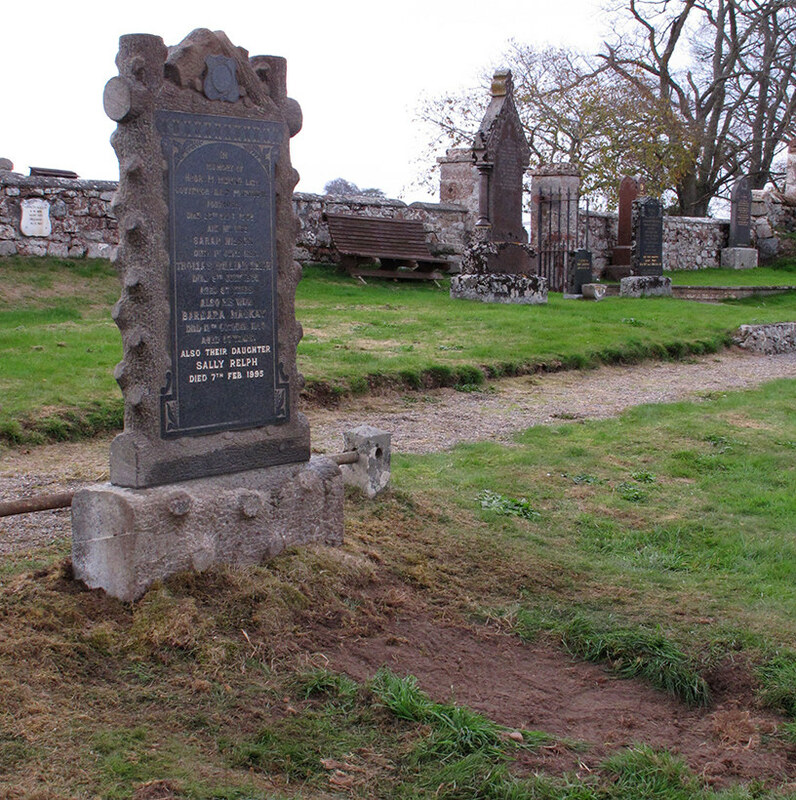 The collapsed memorial to Hugh McKay Munro, his wife Sarah Wilson, son Thomas Relph, and his wife Barbara Mackay. Photograph by Andrew Dowsett. The main building of the Black Isle Combination Poorhouse nowadays, viewed from Ness Road. Photograph by Jim Mackay. Hugh McKay Munro was born in 1855 at Easter Arkendeith, in the parish of Avoch. He was the son of farming parents, Alexander Munro and Christian McKeddie. Arkendeith is notable for the remains of a fortification from the Middle Ages, right beside the farmhouse. The origins of this tower are completely unknown! Arkendeith was a sizeable farm for the time (76 acres of arable and 71 acres unimproved land) and I note that in 1871 most of the sons, including Hugh, were still helping on the farm. From left to right, the remains of the tower, the farmhouse and the steading at Arkendeith. Photograph by Jim Mackay. His father died in 1879, and son John took over the farm at Arkendeith. I imagine that Hugh had already left to take up the role of a journeyman engineer, as in that same year of 1879 he married Sarah Relph, born Wilson, far away from the Black Isle – in Kendal in the Lake District! Let's look at the story of Sarah for a moment. She had married Thomas Fleming Relph in 1875 in Kendal, and at the time of his fatal accident in 1877 they had one child and Sarah was, I believe, pregnant with a second. Thomas was a slate dresser to trade, and was working at the Spout Crag Quarry at Elterwater, Langdale, near Kendal. Spout Crag Quarry is still operational. The 22 year old Thomas Relph and an older partner had taken on working this slate quarry under lease from the site owners. The reports say that the quarry face had been blasted on the Friday morning before the accident, and the front of the rock was tested after every blast. However the partner directed a man to test the rock face because he thought he saw an opening developing in that part of the quarry. The man swung down on a rope and, the usual procedure, rapped the rock face with a metal bar to test it. The whole face, weighing 200 or 300 tons dropped away. The riving or dressing house, where Relph and his partner dressed the slate, was set close against the rock, with the front of the building supported by pillars. The building was smashed. Some workers were bruised and cut but survived. But a one ton block of rock abruptly brought the life of Thomas Relph to an end. 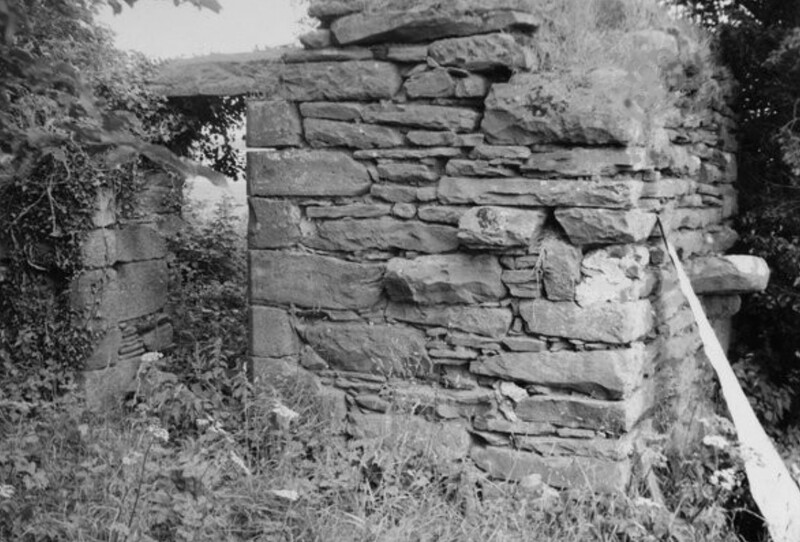 The ancient tower at Arkendeith, photographed in the 1950s. 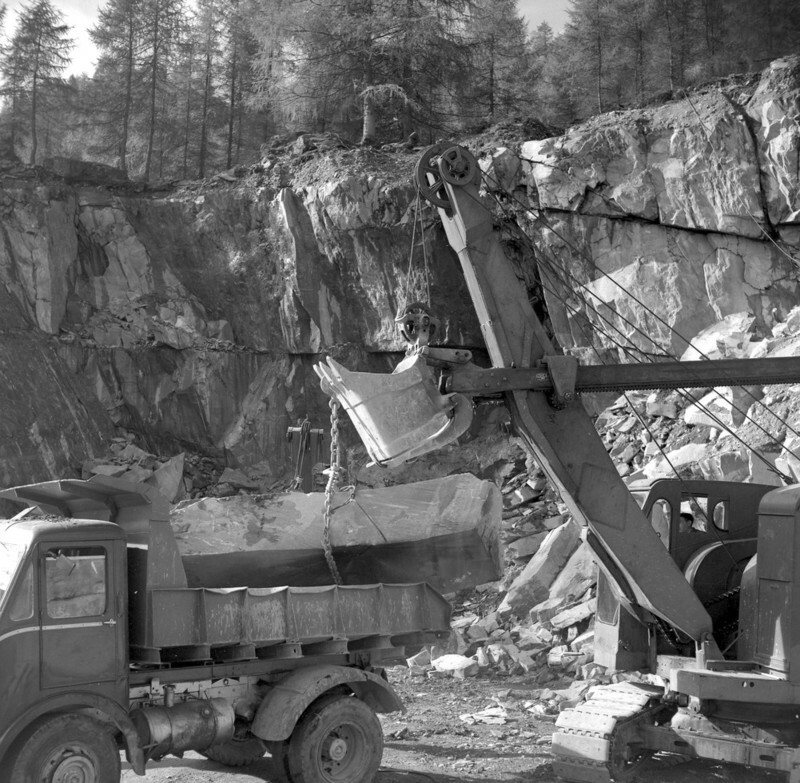 Spout Crag Quarry in the 1960s. Photograph by Hugh O'Neill. 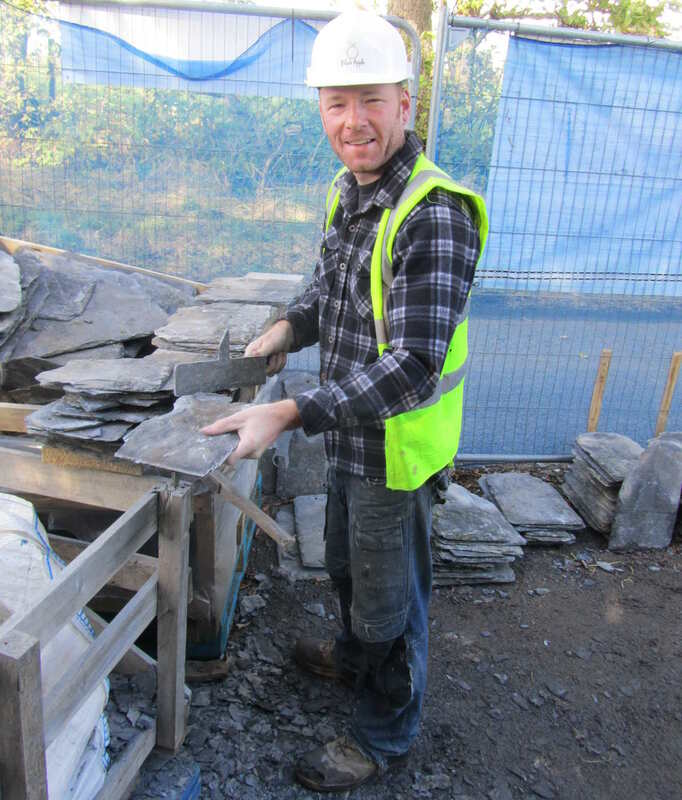 A modern slate dresser at work at Kirkmichael. Photograph by Jim Mackay. At the inquest, it was reported there had been heavy rain which had been getting behind the face and had loosened it, and a verdict of "Accidentally killed" was returned. I think a modern inquiry would have been more critical of procedures. Sarah was too distressed to attend the inquest. Now, note that there was blasting at this quarry, and there would be blasting at other quarries across the area. In 1881, the occupation of Hugh McKay Munro was given as an engine fitter in a gunpowder factory, and I do wonder if he had been engaged in quarry work in the Kendal area himself. Whatever the case, Sarah was widowed in 1877, and remarried Hugh in Kendal in 1879. She was seven years older than Hugh. In 1881 they had three children in their home (Margaret, 5; Thomas 3; and Christina, 7 months). The inquiry reports say that she had one child, so at the time of the quarry tragedyThomas must have been on the way. Their location in 1881 was a long way from the slate quarries of the Lake District. They were living at Millhouse, in the parish of Kilfinan in the County of Argyll. Why were they there? Well, all the neighbouring families were associated with the Millhouse Powder Factory, so clearly he was installing equipment there. This would have required special protective measures – Millhouse workers wore copper studded boots and used copper tools to avoid striking sparks, and they were searched on coming to work to make sure they weren't carrying pipes or matches! The Millhouse Gunpowder Works was a long-established and prosperous gunpowder mill, starting in 1839 and running until 1921. 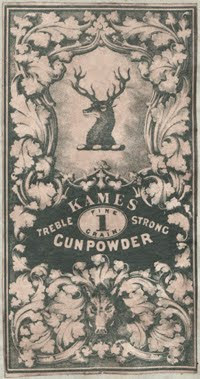 The Kames Gunpowder Company was a world name in supply of gunpowder. 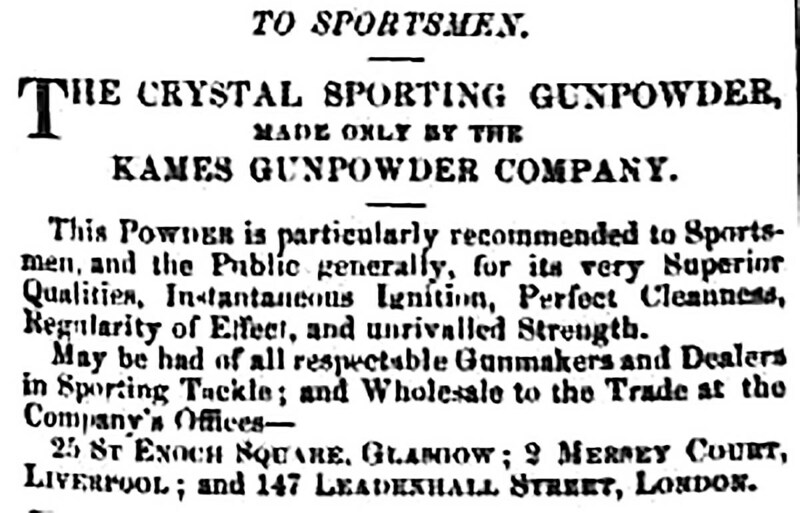 The gunpowder was exported by sea, and I note that one of the company ships was quaintly named "Guy Fawkes"! 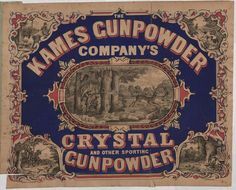 A most interesting website by the now deceased Kennedy McConnell www.gunpowder-in-argyll.com/ contains some fascinating pictures of the site, with its well-isolated magazines (lest an explosion in one would detonate the others). Factory buildings had thick walls and fragile roofs, to ensure explosions were directed upwards. Houses were built without windows in the gable facing the factory, to avoid damage during the test blasting of gunpowder, or during accidental explosions, of which there were several over the life of the factory. After one explosion, a 100 kg chunk of a giant gearwheel was found embedded in the earth two miles away. 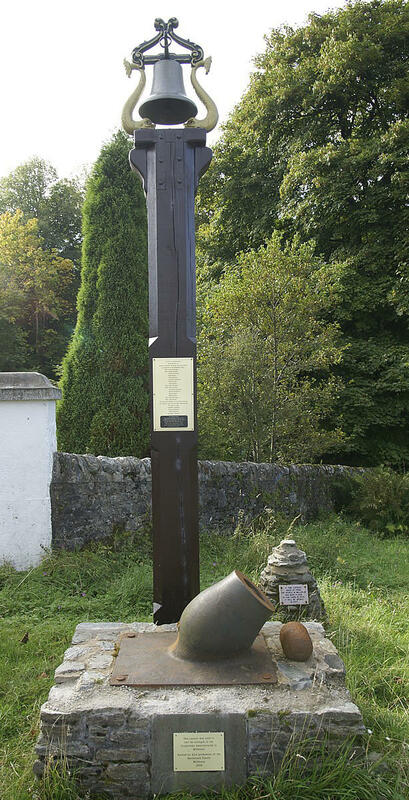 The "dolphin" bell run for time-keeping and warning of test explosions, and the cannon used to test the strength of gunpowder mixes, were relocated from the former works to the entrance to the graveyard at Millhouse to commemorate those who had died at the works. I don't know how long Hugh and Sarah were at Millhouse. Their youngest child, Christina Wilson Munro, had been born at Greenock in 1880, but sadly died at Millhouse in July 1881, and presumably is buried in that graveyard at Millhouse. Hugh described himself when registering Christina's death as engineer (journeyman), and they were certainly journeying around with his engineering work. Hugh returned to the Black Isle with his family and settled in our parish of Resolis, in Jemimaville, and that's where they are picked up in 1891. He had started a traction engine business and now described himself as "engine driver". I note that his step-daughter Maggie at 15 was described as "pupil teacher" indicating how good a scholar she was, while step-son Thomas at 13 was still just a "scholar". 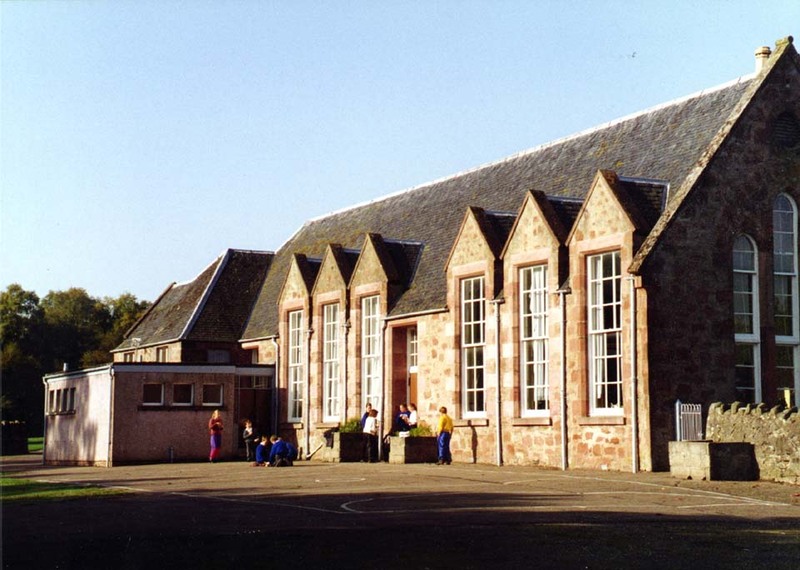 Maggie, in fact, was appointed as female teacher at Newhall Public School in 1897, although she left when she married commercial traveller James Bryson in Fortrose in 1899. I note that on her marriage she called herself Margot Satterthwaite Relph, Satterthwaite being her paternal grandmother's surname. Bryson became an import merchant and Maggie died in Rutherglen as recently as 1962. But back in 1901, Hugh and Sarah were now living by themselves again, and Hugh was busy with his engineering trade. He had time, however, to act as one of the "skips" in Jemimaville's bowling team, and to become Chairman of the Jemimaville Workmen's Club – he was clearly a natural leader. Jemimaville, long associated with the Munros and Relphs. 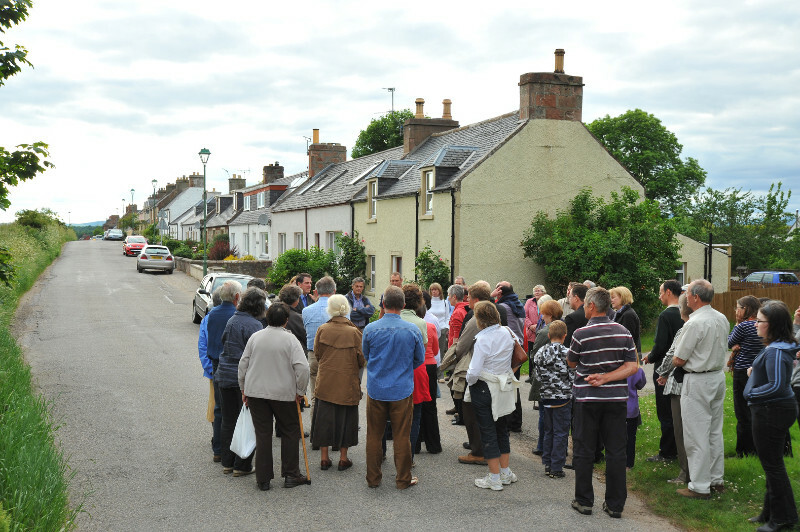 A Kirkmichael Trust guided tour in 2016. Photograph by Andrew Dowsett. Newhall Primary School, where 100 years earlier Maggie Munro was the female teacher. Both Newhall and Cullicudden closed on the construction of the present Resolis Primary School. Photograph by Jim Mackay. A Pleasure Launch for the Cromarty Firth. Many of our readers will learn with gratification that very shortly a neat launch, available for pleasure trips, and for excursion parties, will be steaming up and down the Cromarty Firth, making runs from Dingwall at the one end, and to Cromarty at the other. The vessel is at present far on in construction, under the care of the owner, Mr Hugh Munro, Jemimaville. The boat is 23 feet long by 5 feet 3 inches wide, and the engines are of quite a modern type, and beautifully finished. It is expected that in course of a few days the vessel will be launched, and ready for hire. Mr Munro's intention is to run from Cromarty to Dingwall three days a week, leaving Cromarty to catch the 8.30 a.m. train at Invergordon: thence to Dingwall, returning to Cromarty in the evening. For one day each week the launch will be at the service of private parties. Try as I might, I cannot discover what became of this venture. Perhaps it was too late in the holiday season before he got his steam launch working well. The enterprise just disappears from sight. Just three years later, a successful paddle steamer business, making exactly the runs that Hugh McKay Munro had proposed, was launched with great acclaim. 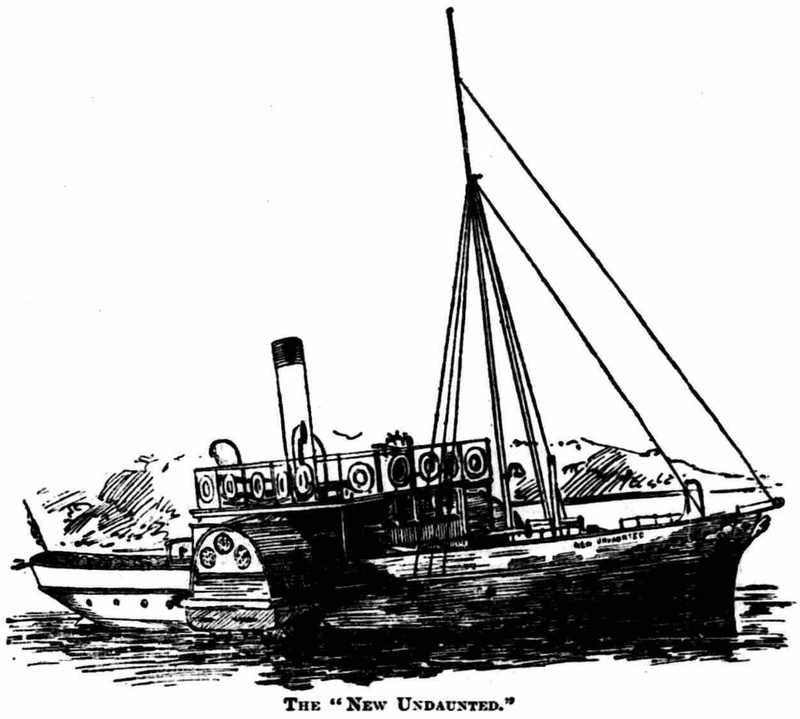 The paddle steamer, which was much larger than Hugh's steam launch, was called the "New Undaunted" and I note that on the Black Isle side one of the attractions that passengers particularly enjoyed was passing by our own Castle Craig, as it stands so visibly on the coast. Coming down the Easter Ross side, Foulis Castle also stood proud. Hugh McKay Munro had the right idea, but in this case the enterprise seems – hopefully not literally – to have sunk without trace. The "New Undaunted" paddle steamer which commenced in 1893 the Cromarty Firth business that Hugh McKay Munro was hoping to capture in 1890. At this time, mechanisation was catching up with farming. The horse was still king, but steam powered traction engines were now starting to power equipment such as threshing machines. It was one of these modern engineering marvels that Hugh owned and operated. They were, of course, dangerous, and I note there was a fatal accident involving the moveable threshing mill attached to his traction engine at Sheep Park in October 1896. Hugh didn't just use his traction engine for powering mills, however. He was a pioneer of heavy road transport, as emerges from a case determined in the Dingwall Sheriff Court in December 1899. Hugh had contracted to carry a quantity of wood belonging to a wood merchant in Inverness from Braelangwell to Fortrose Railway Station. It was conveyed upon trucks or waggons drawn along the highway by Hugh's traction engine, to be unloaded at the loading bank at Fortrose Railway Station by means of a crane belonging to the Railway. Charles Aird, the blacksmith at Balblair, was employed by Hugh to assist, but while he was trying to adjust the chain round the trunk of a tree at the Station, the tree rolled off the truck and felled him to the ground. Charles Aird suffered a serious injury to his right ankle and attempted to sue Hugh under the new Workmen's Compensation Act, 1897, the first case under this Act in the Dingwall court. The Sheriff dismissed the case and awarded expenses to Hugh as he felt the Act did not apply here as the accident occurred not "on or in or about" a factory or engineering works, but at several miles distant from it. Looking down on the scene of the 1899 accident. Fortrose Railway Station in 1922. Hugh McKay Munro was not afraid of taking on new challenges. We have seen him move from labouring on the family farm to working as an engineer in England and in a gunpowder factory in Argyll, to building a steam-powered pleasure launch and operating a traction engine business. An even more radical career change now developed. 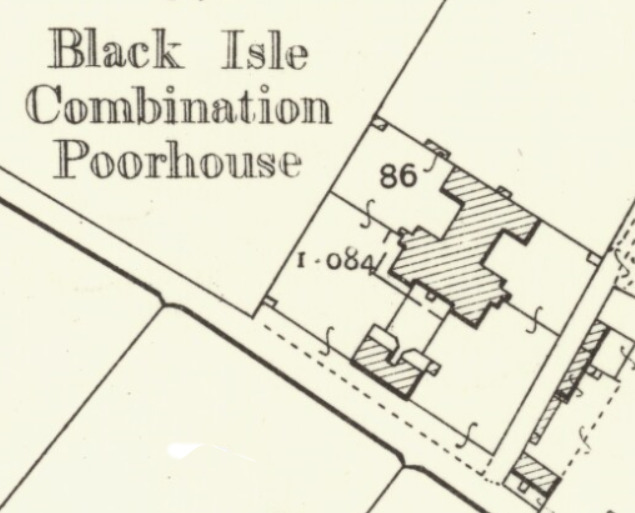 The Black Isle Combination Poorhouse had been operating for many years. Built in 1859 on the Ness Road to the east of Fortrose, it was designed by William Lawrie. It contained the Master's quarters in the centre, and had wings for male and female accommodation, and children's quarters at the end of each wing. It took in the destitute from the Black Isle parishes, and gave those who could work meaningful tasks. Work and utility rooms, including a laundry on the women's side, were therefore incorporated. For ten years, Mr and Mrs Lumsden had been the governor and matron of the Black Isle Poorhouse, and when they retired, the double post was advertised. There was a long list of candidates, from all over the country – but in October 1901 Mr Hugh Munro, thrashing mill owner, Jemimaville, and Mrs Munro, were appointed governor and matron of the poorhouse! 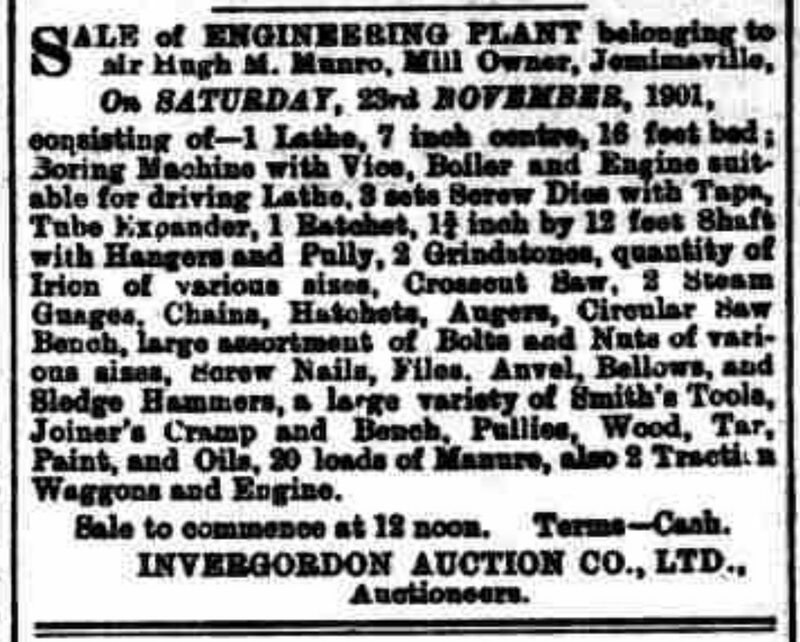 On being appointed Poorhouse Governor, Hugh put his traction engine and all his engineering equipment up for sale in November; a sale advertised for several weeks in the Ross-shire Journal. And in December, a deputation from the Jemimaville Workmen's Club, including Charles Ferguson of Ardoch, visited the poorhouse. They presented Hugh with "a massive gold albert and appendage" as he had been such an excellent friend to the club. It could not have been too onerous a task running the Poorhouse. Earlier in 1891, before Hugh and Sarah's arrival, there were only 18 inmates in the Poorhouse, 10 female and eight male, so it was operating well below capacity. There were no children, and most of the inmates were elderly. I don't have the distribution of parishes from which the inmates had been sent, but their birthplaces in the 1901 census provide a rough guide: four born in Cromarty, three Fortrose, three Avoch, two Resolis, two Rosemarkie, one Killearnan, one Glasgow and one Tarbetness. Although a surprising choice, Hugh and Sarah proved an effective and popular management team at the Poorhouse. Hugh became a respected Black Isle figure, sitting on groups such as the Black Isle District Licensing Court. The layout of the Poorhouse from the 25 inch to the mile Ordnance Survey map published in 1905, in the final year when Hugh and Sarah were Governor and Matron respectively. But alas! Sarah having lost her first husband when he was 22, she now lost her second husband when he was 50. Hugh died at the poorhouse on 26 September 1905. It must have been a devastating time. The death has occurred at the Black Isle Combination Poorhouse of Mr Hugh M. Munro, governor of the institution. Mr Munro was a native of the district, where he leaves a wide circle of relatives. A few years ago he succeeded Mr Lumsden, late of Rosemarkie, in the governorship of the poorhouse, and in this hospice his cheery temperament and kindly manner made him a general favourite. Possessed of considerable musical knowledge, and of no little vocal ability, he contributed his quota of songs to many local programmes. Mr Munro had for many years been prominently identified with the temperance cause, and more particularly with the Good Templar order. The state of his health, which had been for long a subject of grave anxiety, led to the appointment a few days ago of his stepson, Mr Ralph Munro, as his interim assistant. This arrangement had scarcely been completed when it was dissolved by death. Much sympathy is extended to the bereaved widow and her son and daughter. The funeral takes place to-day at Avoch. Note the funeral at Avoch. 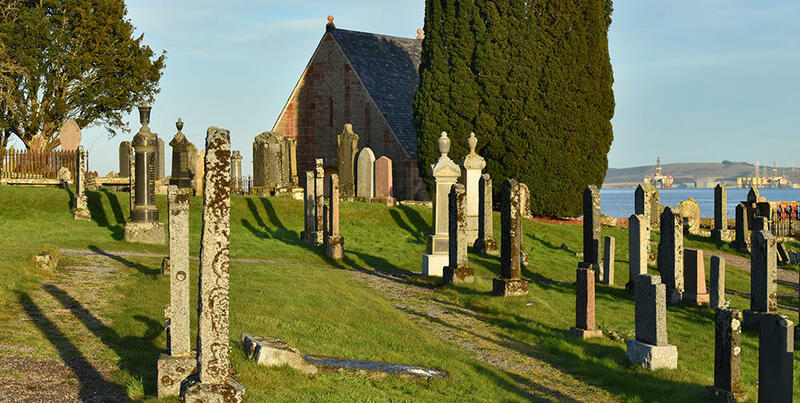 While he is commemorated in Kirkmichael, and his family are buried in Kirkmichael, he himself was buried with his parents in Avoch Parish Churchyard, where his name was added to his parents' headstone. His brother was still farming at Arkendeith. The House Committee having met for the first time since the death of the governor, Mr Hugh Munro, do now take this opportunity of expressing their sincere sympathy with Mrs Munro and family in their recent severe bereavement. The committee deplore the loss that has befallen the institution by the removal of one who was at once so faithful in every duty and so greatly beloved by the inmates. They would also take this opportunity of thanking Mrs Munro for her much-valued services as matron, and they sincerely hope that God's blessing and comfort may abide with her wherever her lot is cast. The Committee appointed Constable and Mrs Mackay, Dingwall Prison, to be the new governor and matron at the Poorhouse. Poor Thomas thus went from being pro tem. Governor of the Poorhouse (which is how he described himself on his father's death certificate) to becoming a labourer. Whilst the Press & Journal had called him "Ralph Munro" in his father's obituary, he now began to call himself Thomas Relph. He returned to the parish of Resolis. 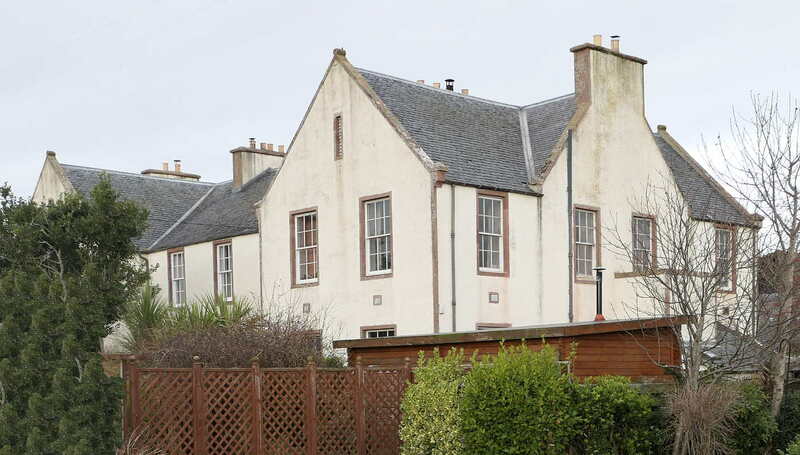 When he married Barbara Mackay at Kirkton in 1909 he was living at Rose Cottage, Cullicudden, but he moved to Springfield Cottage, which is where his daughters were born. And what of his mother, Sarah Munro, previously Relph, born Wilson? She went to live with her daughter, Maggie Bryson, in the Central Belt. However, at some point she returned to Jemimaville where her husband had once run his traction engine business. She died in Jemimaville in 1925, aged 83. The stone in Kirkmichael that commemorates Hugh McKay Munro and Sarah his wife, and their son and his wife, collapsed some time around 2010. It had a frame depicting severed branches, indicating lives cut short prematurely, clearly applicable to the two husbands of Sarah. The Trust made a commitment to have it professionally re-erected. If you are descended from the Munro, Relph or Wilson families, we said, or would simply like to assist in better maintenance of Kirkmichael, then we would be delighted if you could make a donation. The professional quotation we have received for this work is £600, and if we receive more than this, we pledge to use any excess to restore some of the other broken or tumbled stones at Kirkmichael or carry out other essential maintenance work at Kirkmichael. In the event, we successfully raised about half the sum necessary to have the memorial re-erected, and we made up the remainder ourselves. 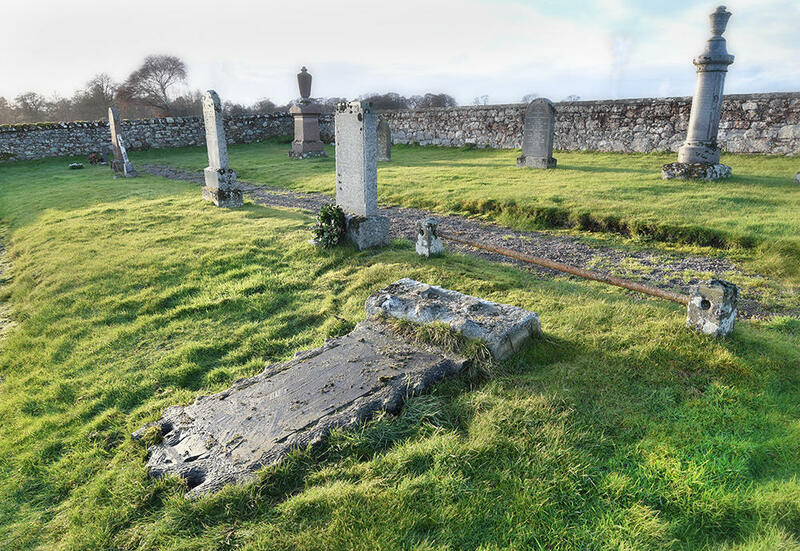 All across the Highlands, our graveyards are increasingly at risk, as memorials lie abandoned where they fall. With joint action like this, and a lot of publicity, I am sure we can reverse the trend, starting with this memorial to Hugh and Sarah Munro, once Governor and Matron of the Black Isle Combination Poorhouse. The Fallen Headstone at Kirkmichael. Photograph by Andrew Dowsett. The main building of the former Black Isle Combination Poorhouse, from Ness Road East. Photograph by Jim Mackay. On 11th October 2018, workmen from John Fraser and Son re-erected the headstone, the last fallen modern stone in Kirkmichael to be restored. We have a bit more work tidying up around it and resowing grass, but the memorial to the Poorhouse Governor and his family has at last been re-instated.